Line up your offers. The struggling Penguins are officially in sell mode. In case you missed it, Pittsburgh Penguins general manager Jim Rutherford pulled off another trade earlier today shipping Stefan Elliott and Tobias Lindberg to the Ottawa Senators in exchange for Ben Sexton and defenseman Macoy Erkamps. It’s a relatively small deal, especially when compared to last month’s Carl Hagelin for Tanner Pearson swap or the Daniel Sprong for Marcus Pettersson trade, but it really pales in comparison to another deal that Rutherford was apparently cooking up. According to NHL insider Elliotte Friedman of Sportsnet, Rutherford was “tested the market” for star forward Phil Kessel before trading Hagelin. 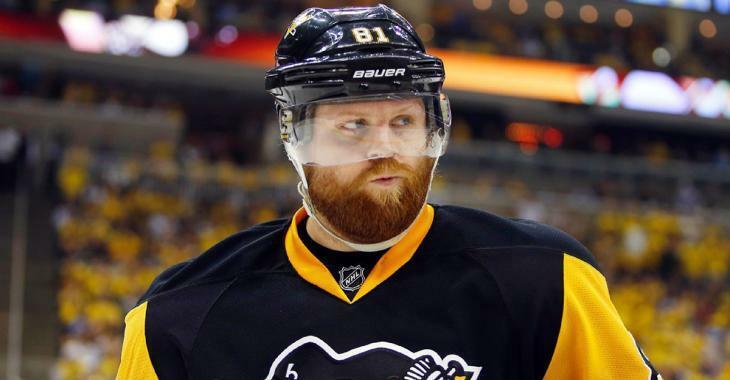 According to multiple sources, Pittsburgh “tested the market” on Phil Kessel. This one is tricky, because the Penguins appear to have decided to hold off on anything involving him for the time being, but that doesn’t mean it can’t or won’t be revisited. Three weeks ago, the Penguins were last in the Eastern Conference. Tuesday’s win over Colorado put them within two points of the playoffs, and who is betting against them? GM Jim Rutherford’s been searching for ways to upgrade the roster. He’s made two moves — Carl Hagelin to Los Angeles for Tanner Pearson, Daniel Sprong to Anaheim for Marcus Pettersson — but is eyeing more. The Penguins don’t have a ton to trade without seriously altering the team. Kessel has some control of the process with partial no-trade protection. Toronto still pays $1.2 million of his $8-million salary. The winger has 10 goals and 29 points in 26 games, so the production is still there. We’ll see where it goes. Whether or not this still means that Kessel is in play or not, who knows? Still, you have to imagine that several teams would lineup to put in offers on a speedy sniper like Kessel.